Alright, you guys. We’re going back to basics today. If you follow us on Instagram (and you should!!! 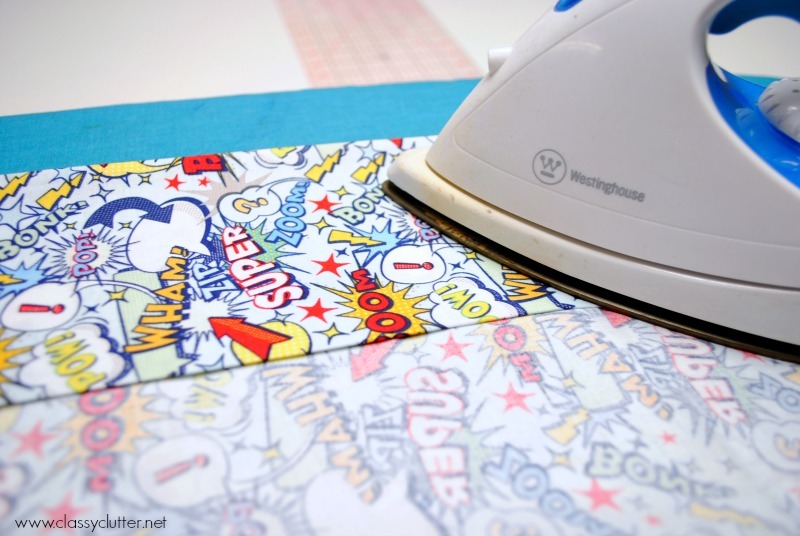 @classyclutter) you may remember me busting out my sewing machine to work on some pillows for the boys’ superhero room makeover. 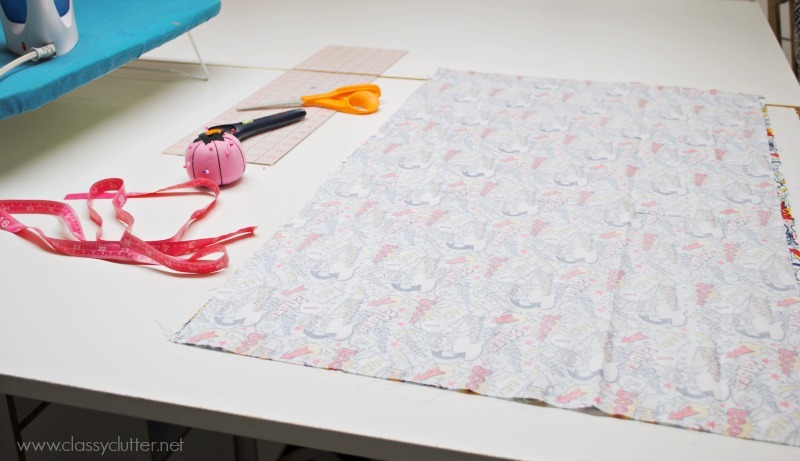 Sewing pillow cases is super easy but when it comes to measuring and cutting, I’d rather have a tutorial with it all in front of me instead of trying to figure it all out as I go. 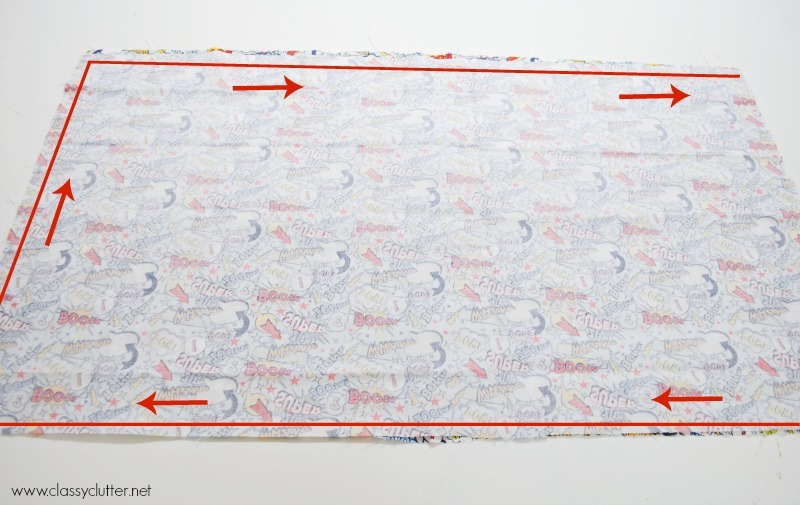 Well, I did figure it out as I went this time but I thought some of you may want to have this tutorial handy in case you want your own custom pillow cases! 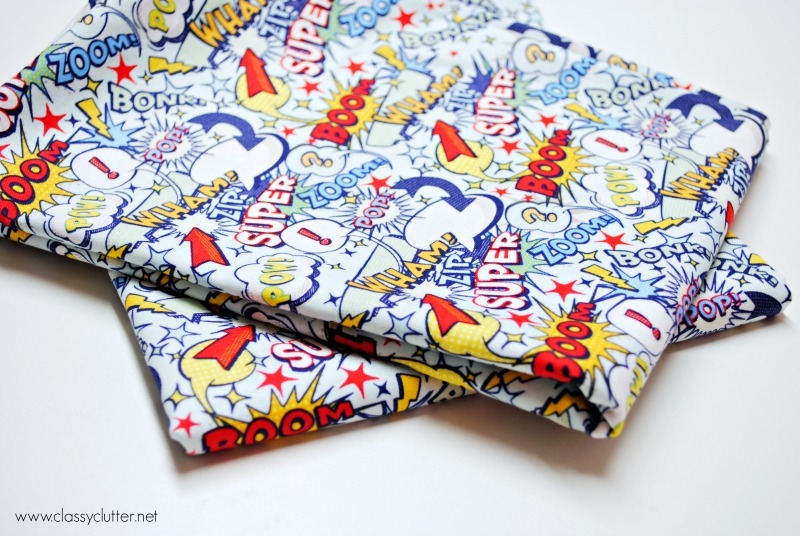 I was going to buy sheet sets for my boys from Land of Nod that were super cute but at $70 each (and I need 2!) it just wasn’t gonna happen. I ended up buying $15 sheet sets from Target and adding this fun pillow because that’s really all that shows when we make the beds anyway. First, cut out two rectangles 22 x 36″. With right sides together, stitch around the two long sides and one short side. 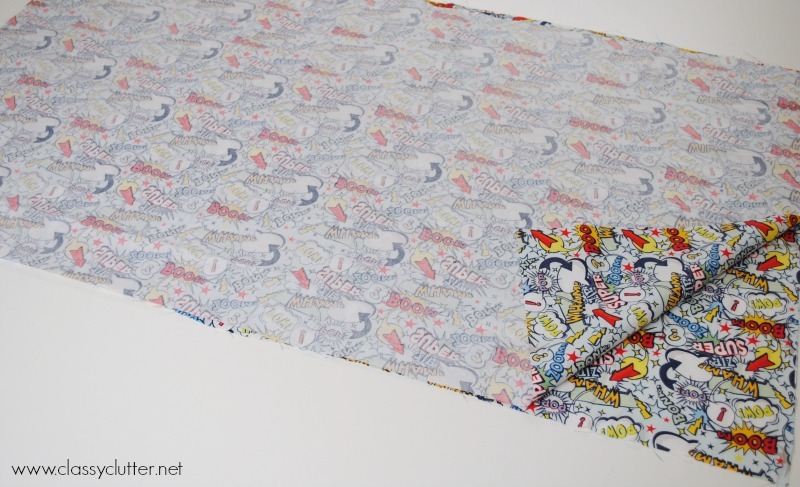 On the opening, iron and fold about 1/2″ hem. 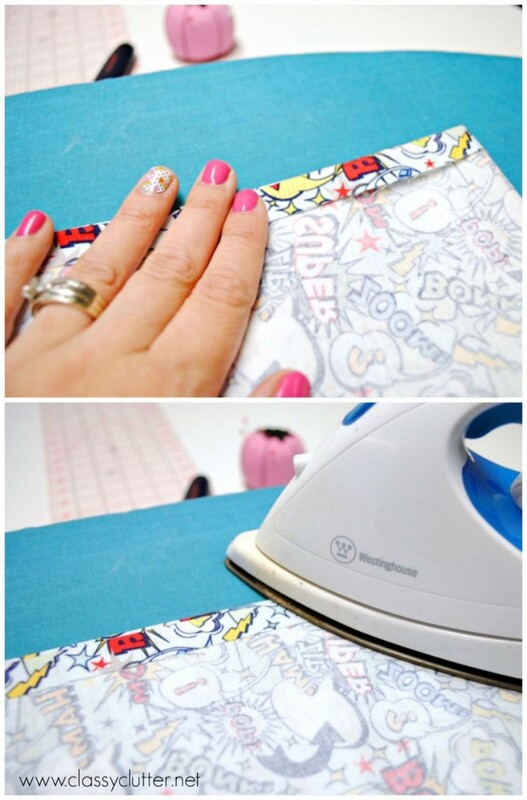 Fold down 3-4″ and press with an iron. Stitch it along the folded edge. That’s it! Seriously SO easy!!! I love the bright pillow cases on their beds! 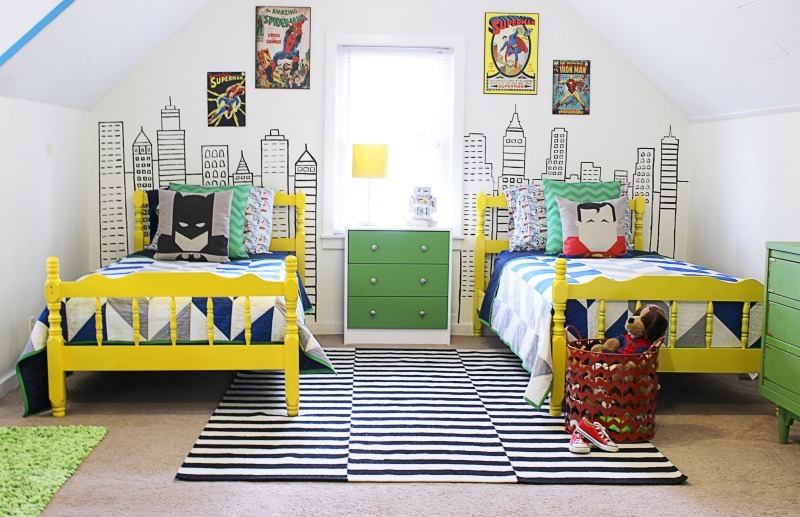 Check out the boys’ Modern Superhero Bedroom here. So delectable! That seems to be irresistible. 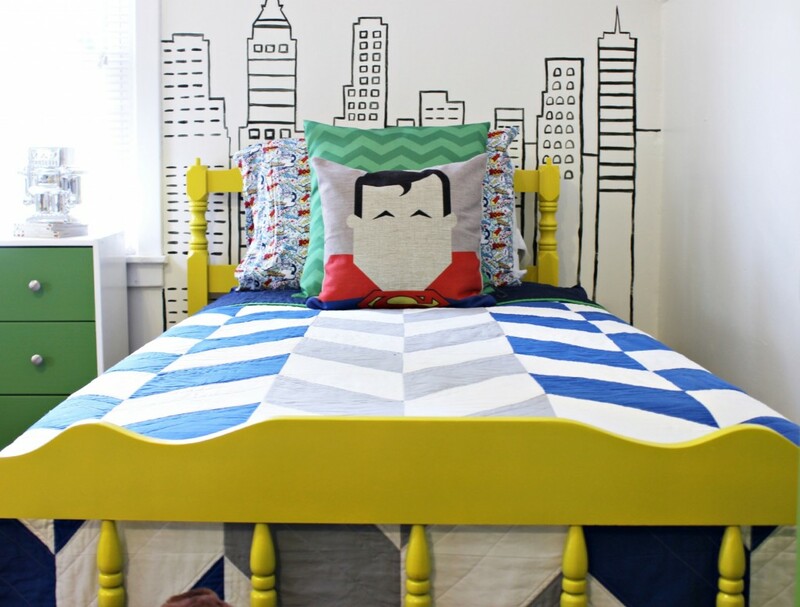 I really love the superman and batman pillows. Where did you get them?